Class action attorneys work hard for their fees, usually investing a great deal of time and financial resources with the knowledge they might receive nothing for their efforts. I concede that objectors may be the least popular litigation participants in the history of civil procedure. In re Cardinal Health, Inc. Sec. Litig., S.D. Ohio 2008.
a nonnamed member of a Federal Rule of Civil Procedure 23(b)(1) certified class formally moved to intervene two weeks after counsel for the parties filed a motion for preliminary settlement approval. The district court approved the settlement and denied the objector’s motion to intervene as untimely. The objector appealed both rulings --- the denial of intervention and the settlement approval. The issue found its way to the U.S. Supreme Court. Particularly in light of the fact that petitioner had no ability to opt out of the settlement, appealing the approval of the settlement is petitioner’s only means of protecting himself from being bound by a disposition of his rights he finds unacceptable and that a reviewing court might find legally inadequate. Hence, class action counsel is faced with the ongoing threat of lengthy, and hence costly, appeals from last minute objectors, sometimes derisively called ‘interlopers’ by those opposed to their activities. Trial court judges have a duty to monitor class action counsel, particularly when approving settlements. They are charged with “exercising the highest degree of vigilance in scrutinizing proposed settlements Culver v. City of Milwaukee. But judges often do not have the insight into a case of an active player or concerned individual and hence lack the necessary information, practical ability and resources, and sometimes the incentive to make the appropriate or directed inquiry. However, lawyers control access to the necessary information to determine whether a settlement is reasonable. In a standard (non-class action) civil case the plaintiff/client usually has a great deal at stake and usually some knowledge about the facts. Sometimes more than the attorney. It’s their case about some larger event in their lives. In the case of a business dispute, even if not a larger event, it is all about them, and their interests. In class actions the plaintiffs often have a small stake in a larger scale problem, such as when major corporations create transgressions of law on a very large scale, but each putative class action representative plaintiff actual damages are small but are archetypical of all similarly situated --- the very essence of a class action. Who Can Help a Judge Monitor Class Action Counsel? 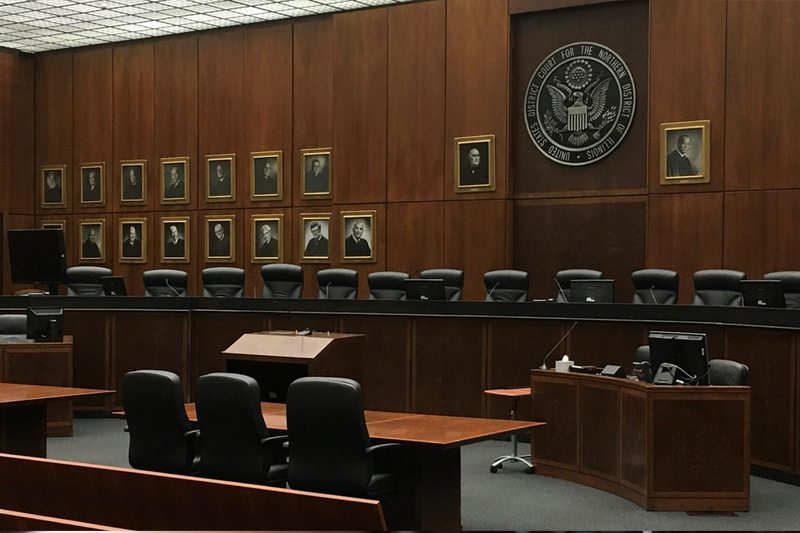 It is argued that class action counsel becomes the ‘principal’ of the lawsuit, and the unsophisticated putative class action representative plaintiff becomes the agent, or stand in, for the attorney needing legally viable plaintiffs. The argument continues that these ‘agents’ have little ability to monitor their own attorney, as their stake is low, and the cases are complex. It is well recognized that class counsel makes a large investment of time and money. But who else can slay a Goliath but the supposedly all knowing, all caring, plaintiffs’ counsel? Enter the Objector --- The Solution or a Grander Problem? Is the objector’s goal to provide information to the judge to seek a better settlement, i.e. more compensation for class members, or to act as extortionists of class counsel on a free ride seeking to hold up the settlement for a piece of the action? Objectors sometimes provide courts with valuable information that aide its ability to either disapprove, or improve, a settlement. But because Devlin permits objectors to file appeals that take a long time to resolve plaintiffs’ counsel have strong incentive to pay off the objector’s counsel to avoid the cost of delay, if for no other reason the time value of money. Objectors could argue that past studies have shown about one-half to two-thirds of class actions proceed without any objectors. And who else is to advise the judge that the case deserves a better settlement, more compensation for at least some class members, or that the class action attorney’s fees are too large? They may also argue that some class members might deserve a large share than others. But many objectors are not so altruistic. Who is Monitoring the Monitor? Class action attorneys work hard for their fees, usually investing a great deal of time and financial resources with the knowledge they might receive nothing for their efforts. And while many are motivated by a personal belief system they should be paid for their hard work --- they have identified a legal wrong and spent much time obtaining a settlement. But then judges are loath to ascribe unfitting motives to objectors attacking these attorneys when undesirable consequences flow from such a determination. But how much attorney fees are too much? And how is objector counsel any different than class counsel cast as just preying on the fees? The difference is the threat of an appeal as a major weapon in objector counsel’s arsenal. Appeals mean delays, and delays mean longer wait times for payment. A successful objector appeal means large fees for the objector counsel, only fraction for class members, the same as class counsel. But objector counsel was not entitled to fees without the appeal so does not face the cost of delayed payment of settlement funds experienced by class action counsel. It is recognized that objector appeals are a relatively easy legal chore, as their briefs are based on inherently malleable legal principles. They can always assert in seemingly good faith that the fee awards are excessive, that a larger settlement should be had --- it is all fact-based. The large differences in time expended for class counsel to obtain the settlement, as opposed to the objector counsel to object and threaten an appeal, are significant. Of course, objector counsel can be entitled to a percentage of increased increment to the class Ultimately, it is argued that objectors have a disproportionate amount of power to upset large settlements, cause delay against the hard work of counsel for both sides which increases the costs for the parties and the courts.